Congratulations Fall 10K Trg Participants!! 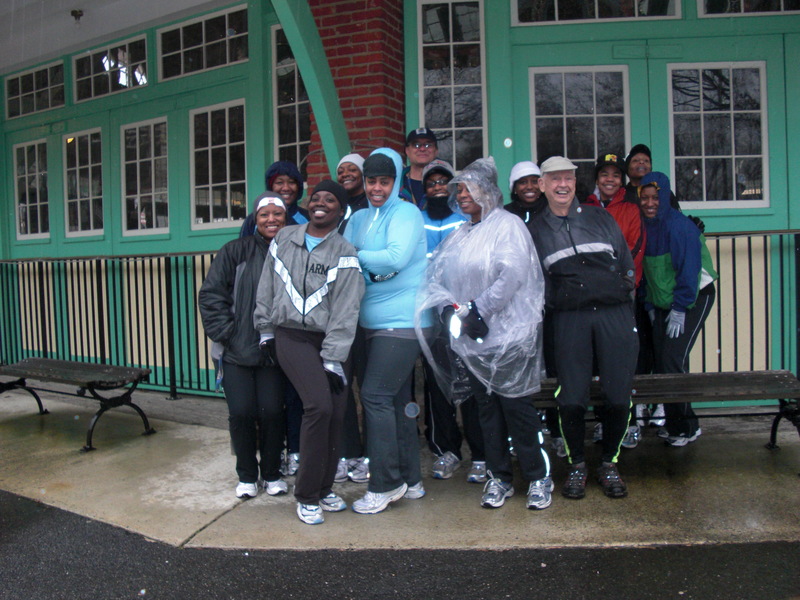 Sunday, December 13, 2009 the Fall 10k Training Program completed their program by running in the 10k Bread Run. I couldn’t have been prouder!! It was a perfect day to run, and when I say perfect, I meant perfectly awful day to run. However, the weather didn’t discourage our participants to much – well just a little. It was raining, cold and muddy, but they persevered!! !! And, for those participants that don’t like to get water in their face while they run – Well they got a lot and did a great job!!! Congratulations 10k training participants- Way to Go!!! Everyone is smiling in the photo so they must be having fun. Congratulations to everyone who completed the 10K training and toughed it out despite unpleasant weather to finish the 10K race.